In a video address Thursday, Bernie Sanders talked to his supporters about the future of his campaign. Hillary Clinton became the presumptive Democratic nominee in early June, and Sanders has been under pressure to end his own candidacy ever since then. 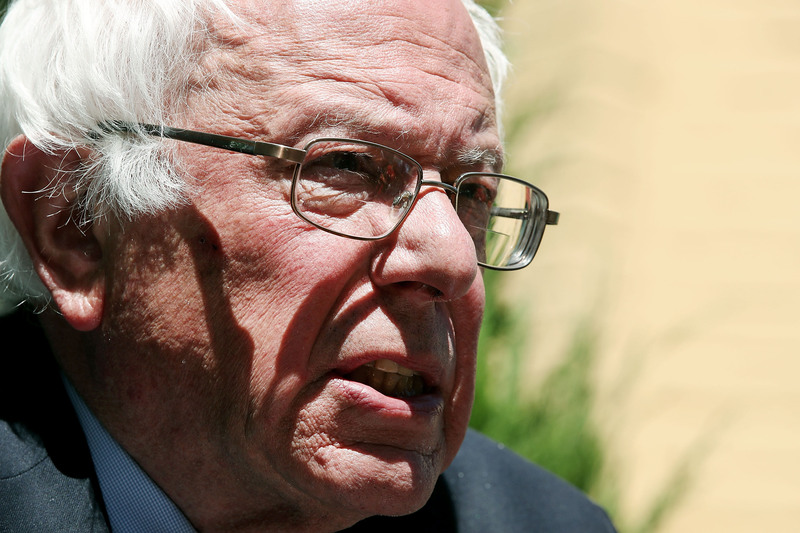 With his speech on Thursday, has Sanders dropped out of the presidential race? Or is he still in it to win it? The Vermont senator didn't formally end his campaign, but his comments made it pretty clear that he intends to do so soon. Just about everything about his remarks — from his proclamation that "real change never takes place from the top down" to his promise to help defeat Donald Trump in November — strongly suggested that he isn't going to remain a candidate for very much longer. "Election days come and go," Sanders said in his address. "But political and social revolutions that attempt to transform our society never end. They continue every day, every week and every month in the fight to create a nation of social and economic justice ... that’s what the political revolution is about, and that’s why the political revolution must continue into the future." Sanders outlined several concrete ways in which he intends to continue his "political revolution." He called upon the Democratic Party to adopt a more progressive policy platform, contest elections in all 50 states and bring in new leadership. He encouraged his supporters to run for office at the local and state level. And he pledged to "make certain that Donald Trump is defeated, and defeated badly." Sanders did not, however, say anything to suggest that he's still running for the Democratic presidential nomination. He didn't talk about winning over superdelegates at the convention in July, which had become his last hope of defeating Clinton. While he noted, vaguely, that he and the presumptive Democratic nominee have "strong disagreements on some very important issues," he nevertheless concluded that "our views our quite close" on other areas of policy. In other words, Sanders didn't talk like someone who's still running for president. Rather, he talked like someone who's about to wind down his campaign and endorse his primary opponent. The announcement may not come tomorrow, or the day after, but it's almost certainly coming. Sanders might not make an announcement tomorrow, or the day after. But his comments Thursday indicated that his campaign for the Democratic presidential nomination, as impressive as it's been, is nearing its end.